Update: 04/18/2019 Japanese sandwich inspired Konbi is serving cold brew. 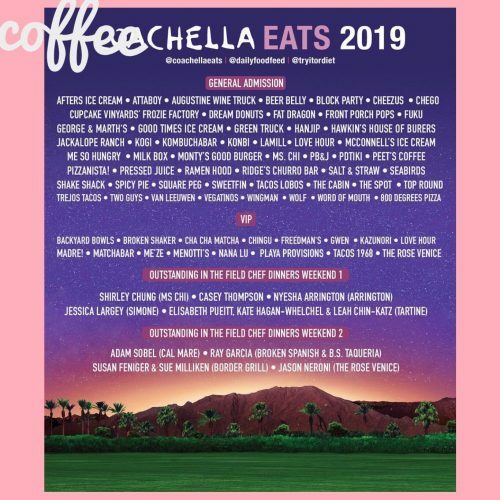 This entry was posted in music and tagged coachella, coffeechella, indio valley, lamill coffee, menotti's, peets. Bookmark the permalink.